Deze postkaart heb ik zelf gemaakt met allemaal postzegels. Je ziet, zelfs een saaie postzegel kan mooi zijn. 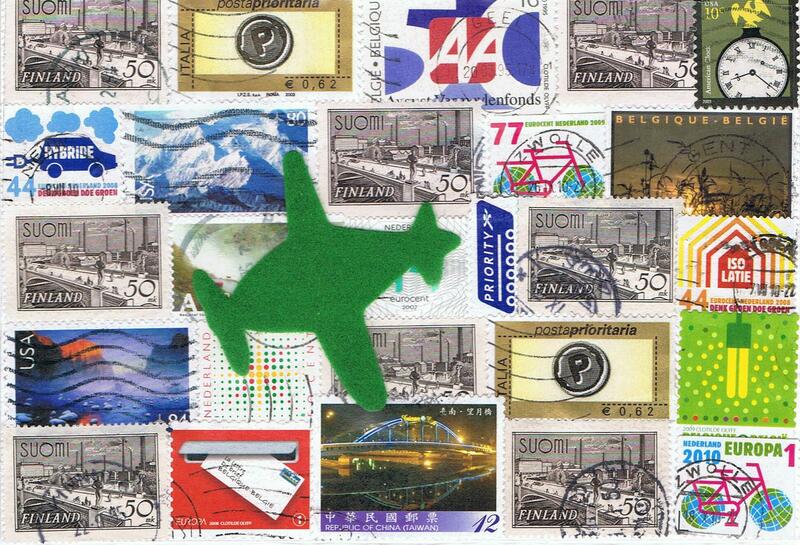 I made this postcard with lots of stamps. 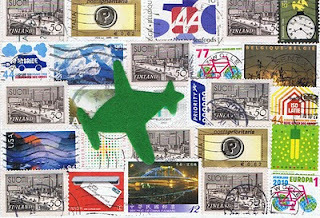 You can see for yourself, even boring stamps can be pretty. ﻿P.S. Stamps you don't need anymore are always welcome. Very creative! You gave me a great idea. Since I don't collect stamps I don't know what to do with them.